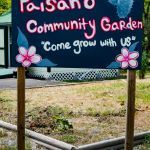 Ask fellow campers about "Paisano RB and Mobile Home Park" and nearby attractions. Site was 6 to 12 inch untended grass over mud. My tires sunk in about 5 inches, I was worried I would get stuck. I didn't bother hooking up water and sewer, since I decided this place wasn't for me and I'd be leaving in the morning. I told the person in the office that I was very unhappy, but there was no offer to make good. I paid the $35!! dollars and left. Do yourself a favor and overnight somewhere else. You won't end up with muddy shoes and 35 bux poorer! 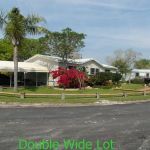 We camped at Paisano RB and Mobile Home Park in a Motorhome. Sorry to hear about your experience. Did you come in December during the snow fall? We have a mobile home on lot 54. So not sure where you stayed and got stuck off paved asphalt road? Can you tell me more, as we do not like unhappy customers or bad reviews. 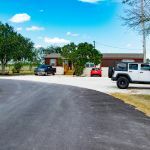 Are you affiliated with Paisano RB and Mobile Home Park ?